Looking for cool city break that doesn't break the bank? Look no further than budget‐friendly Berlin! 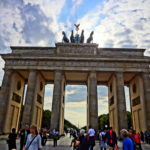 Here are 11 tried‐and‐tested tips to explore the German capital for less.. The "FREE Tour of Berlin" is a great start for anyone new to Berlin and even those who have been before: You sign up for FREE and tip the guide afterwards if you liked what he or she showed you. Ask your guide to point out some film locations and most of them will happily do so. On the tour that I joined, we saw the location of Hitler's former bunker in the last days of WW2, which is now a car park. Of course, things like that are not a "sightseeing attraction" and shouldn't be glorified at all. 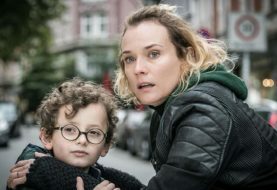 But in 2014, the bestselling novel Look Who's Back (2015) was made into a feature film (now available on Netflix) and part of the movie was filmed here. Some scenes for The Downfall (2004) were also filmed here. 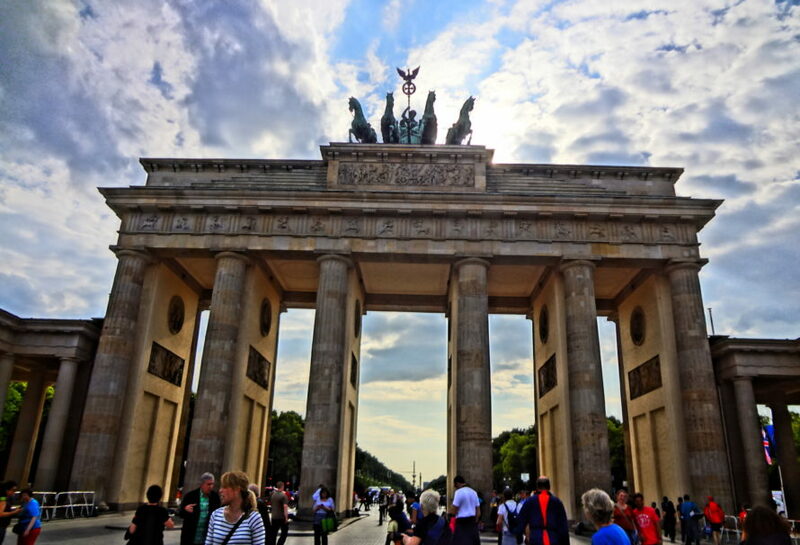 The daily tours leave from the Starbucks Café at Brandenburg Gate and are offered in English, Spanish and German. For details on timings, check the Sandemans website. While you're here, don't forget to take your photo at the Brandburg Gate – THE most famous symbol of Berlin and probably Germany as a whole. How to get there: U‐Bahn stop is "Brandenburger Tor" (U55). You can also walk here from Berlin's central train station and pass by other Berlin landmarks, such as the Reichstag building (the seat of the German government). During the times of the Berlin Wall, the so‐called "Checkpoint Charlie" used to be Berlin's most important border crossing from the East (Russian sector) to the West (American sector). And, as I learnt on my Sandeman's Walking Tour, this was also the site on which World War 3 nearly broke out due to an argument between an American and a Russian soldier. Today, it's rather peaceful here. If you like to, you can have your photo taken with a Russian and an American soldier happily smiling next to each other. You can also stand with one foot in the East and one foot in the West or simply cross the border without anyone checking your passport. My museum tip here is the interactive experience The Wall – assisi Panorama Berlin. Here, you can travel back in time to a November day in the 1980s, when the Berlin Wall was still separating East and West Germany. Extra Budget Tip: Fuel up for the day with a breakfast at the "Back‐Factory" just opposite the U‐Bahn entrance. The budget breakfast chain is based on a self‐service system and is thus a lot cheaper than conventional bakeries. You can get a coffee, a bagel, a typical German "Brötchen" (bread roll) and a Berliner (jam donut) – all for just 5 Euros! How to get there: U‐Bahn stop is "Kochstr. / Checkpoint Charlie"
This place of remembering is of course free because it's important to remember the terrible things that happened in Germany and far beyond during the terror régime of the Nazis. I can tell you that especially the inside of the museum is not for the faint‐hearted, but it is nevertheless worthwhile visiting. Extra Tip: Walking around the huge concretes of the memorial is a typical Berlin experience not to be missed, but do keep in mind that this is a site for commemorating a very serious crime in human history. So do show respect and refrain from acting like this is a huge jolly playground. This was the most central square of the former East Germany republic known as GDR. As such, many historic events took place underneath the "world time clock" and the famous TV Tower on Alexanderplatz – including the first peaceful demonstrations requesting the opening of the Berlin Wall in 1989. The square has also featured in a range of films such as The Bourne Supremacy (2004) and Good Bye Lenin! (2003). The CineStar Cubix is a large screen cinema worth a visit, but not many films are shown in their original language, so make sure you check the program. Extra Budget Tip: Just a little bit off the square, at Rosa‐Luxemburg‐Straße 3, you'll find an amazing Vietnamese vegan restaurant called "Madami". The dishes here are reasonably priced, look very pretty and taste absolutely delicious! How to get there: U‐Bahn, S‐Bahn or Tram to "Alexanderplatz" or "Hackesche Höfe"
This square, too, used to be on the Eastern side of the formerly divided city. More precisely, what is now Potsdamer Platz even was the death strip. After reunification in 1990, it received a massive make‐over and now shines in sparkling new light. The cinemas in and around the so‐called Sony Center frequently host glittering movie premieres for both German and international films. Germany's most important international film festival, the so‐called Berlinale, is held here every year in February. At all other times, enjoy the rare opportunity of going to a German cinema where films are being shown in the original language. In fact, at the CineStar within the Sony Center, films are being shown in their original language all the time! The Potsdamer Platz can be seen as a film location in the German hacker thriller Who am I – No System is Safe (2014). Just off this square, you will also find the German Spy Museum, where you can learn more about famous spy movies as well as real‐life spies. Furthermore, Potsdamer Platz is your ideal starting point for tracing the film locations of the German heist thriller Victoria (2015). Read more in my blog post about a self‐guided Victoria Film Locations Walk in Berlin. Extra Budget Tip: Eat at Vapiano next door! Originally from Germany, this self‐service restaurant chain offers delicious Italian food which is cooked right at the station where you get it and has now expanded all around the world. It can get busy in this particular branch though. For even fewer Euros, you can get a currywurst, Pommes (fries) or a Döner (Turkish Kebab) in the basement shopping mall just underneath the Potsdamer Straße S‐Bahn station. How to get there: U‐Bahn and S‐Bahn stop is "Potsdamer Platz"
With one side of the street in the former East and the other side in the former West, Bernauer Straße (Bernau Street) was the setting for many tragic moments during the era of the Berlin Wall (1961–1989). Some people even lost their lives here as they made a desperate attempt to get from the locked‐in East to the free West and were shot by the East Germany border police. Learn all about the people's fates in a divided city and nation through the films and photos shown at the Berlin Wall Memorial Visitor Centre (FREE). Extra budget tip: On one of my visits, I discovered the SUKHO Restaurant (Eberswalder Straße 1) by chance. To me, one of the best vegan and vietnamese eating places in town! How to get there: The Berlin Wall Memorial Centre is located at Bernauer Str. 111, S‐Bahn to Nordbahnhof. Aside from the so‐called "East Side Gallery" (around "Warschauer Straße"), the best spot to see the remaining parts of the Berlin Wall is the flea market at Mauerpark. This is the place to go bargain hunting for local designer T‐Shirts or vintage vinyl as Berlin's most famous flea market opens its gates every Sunday from 10 am to 5 pm. In the summertime, you can grill in the park, take part in the popular Bearpit Karaōke or just relax. And even on the most chilly winter day, the stands are open for business as I experienced during my visit in January 2014. Extra Tip: This is the perfect photo opportunity with an authentic and full‐size piece of the Berlin Wall in the background. How to get there: U‐Bahn stop is "Eberswalder Straße"
Do you like food tours, but don't like their prices? 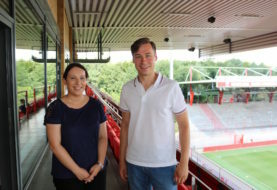 In Berlin, you can now go on a budget‐friendly self‐guided food tour thanks to the bitemojo food tours app. For more info on the new concept of self‐guided food tours, check out my post about the "New in Berlin" self‐guided food tour, which I recently tried. Berlin's largest park "Tiergarten" (literally meaning "animal garden") is one of the largest urban parks in the world. On a warm summer day, this is the perfect place to be for some country‐style relaxation right in the middle of the city. Extra Tip: If you'd like to have the Tiergarten and most of Berlin at your feet, climb up the nearby "Siegessäule" (Victory Column). The entrance fee of 3 € is not too bad and the view is spectacular! Now I am curious: What are your favourite Berlin things to do for FREE or on a low budget? Let me know in the comments below! Sonja, thank you for writing this! I'll have a few free days to explore Berlin in October and not much time between now and then to properly research it. I'm bookmarking this page! Hi Rachel! Glad to hear that you found this helpful! Enjoy your trip!